Rotary is a global network of 1.2 million neighbors, friends, business and community leaders, all problem-solvers, coming together to make a positive, lasting change in local, national and international communities. Solving real problems takes commitment and vision. For more than 110 years, Rotary members have used their passion, energy, and intelligence to take action on sustainable projects. From literacy and peace to water and health, we are always working to better our community and the world, and we stay committed to the end. 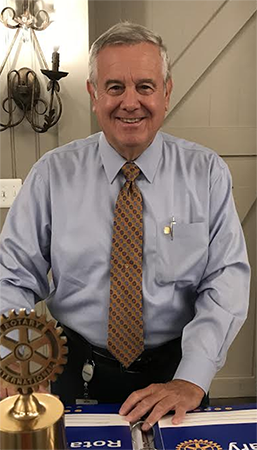 Blue Bell Rotary Club has lived the Rotary motto of “Service Above Self” since its founding in 1990 and we have made a significant impact in Montgomery County as well as around the world. The 50+ members of Blue Bell Rotary work to empower and provide opportunities for youth, improve health, promote peace, and network with other local leaders to make our community a better place to live.